In addition, your computer will need to have essential software applications for reading PDF files, word processing, presentations, spreadsheets etc. CCBC Online students use the Blackboard learning management system to access lessons, submit assignments, participate in class discussions and more. You may also need to take placement tests or other assessments using virtual remote proctoring. Like any software, these systems have specific compatibility requirements that must be met for them to function properly. Java Java JRE 8 is recommended for security reasons, though JRE 7 and 6 may work. Integrated webcam, speakers and microphones in laptops are acceptable. As are headsets that combine mic/speakers. Blackboard is designed for computer based Windows and Macintosh operating systems. It does not support Linux. Likewise, students are encouraged not to use Google’s Chrome OS (the operating system for Chromebooks), which is not compatible with certain Blackboard functionality. While Windows 7 is a minimum requirement, we strongly recommend upgrading to a more recent version for online learning (Windows 8 or 10). NOTE: Mobile devices can supplement your online learning experience, but because all Blackboard functionality is not available on mobile devices, you cannot rely solely on them to successfully complete courses. The Central Processing Unit (CPU) functions like the brain of your computer. The speed of your processor–measured in hertz (Hz)– is determined by how many commands it can perform in a given second. The higher the speed, the faster your computer is able to execute commands. Because Blackboard is an interactive, multi-media environment, you need at least a 1 GHz (1 GHz = 1,000,000,000 Hz) processor to ensure an effective learning experience. New computers will likely exceed this out of the box, but older computers may have less. Random Access Memory (RAM) is the short term memory where your computer stores temporary commands and information while working. By storing this information in RAM, your computer can access it quickly and operate more efficiently. Once your RAM is full, your computer begins storing temporary information on your hard drive. Because retrieving temporary data from the hard drive is less efficient, this slows your computer down. So, the more RAM you have, the faster your computer will operate. To function properly, Blackboard requires a high-speed Internet connection The minimum speed to access Blackboard is a consistent 1.5 Mbps (megabits per second) or higher. Online placement testing using virtual remote proctoring and other assessments requires a minimum of 3 Mbps or higher. Java is a programming language used in many web applications. Blackboard requires Java to power some of its functionality and will work with JRE 6 installed, but for security reasons, JRE 8 is recommended. Respondus LockDown Browser™ is a customized browser that increases the security of test delivery in Blackboard. When you use Respondus LockDown Browser to access an exam, you will be unable to print, copy, go to another URL, or access other applications. Once an assessment is started, you are locked into it until it’s submitted for grading. Respondus LockDown Browser provides a custom interface for the Internet Explorer (Windows) or Safari (Macintosh) software that is already installed on a computer. It does not modify the existing installation of Internet Explorer or Safari, but rather, installs a separate program that displays a custom browser when it is started. Respondus LockDown Browser is not meant for general use with Blackboard and is only intended for use by students while taking assessments that have been specifically configured to work with it. 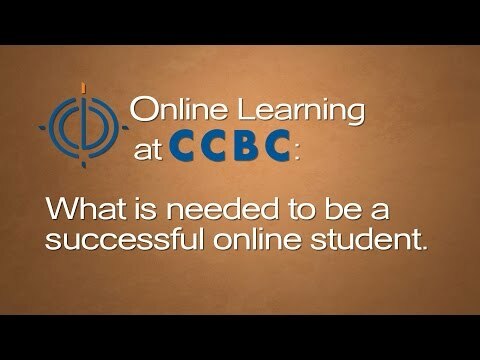 CCBC Online Learning Readiness: What is needed to be a successful online student.